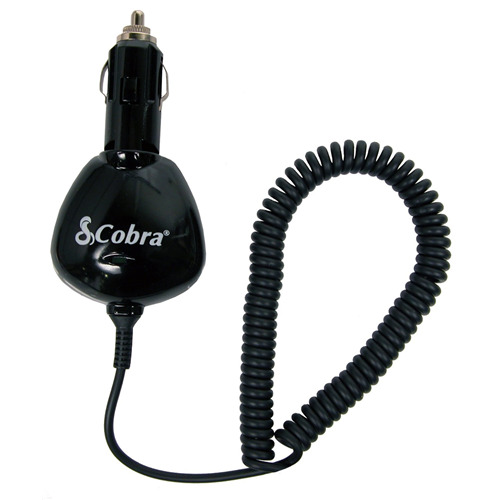 The Cobra Swivel 12V Charger is phone model specific for the Mini USB. It has a durable heavy duty design, coiled strain relief cord, and its swivel head allows for easy fit in tight spots. Approximate re-charge time is 2 hours, and it will not overcharge phone or battery. 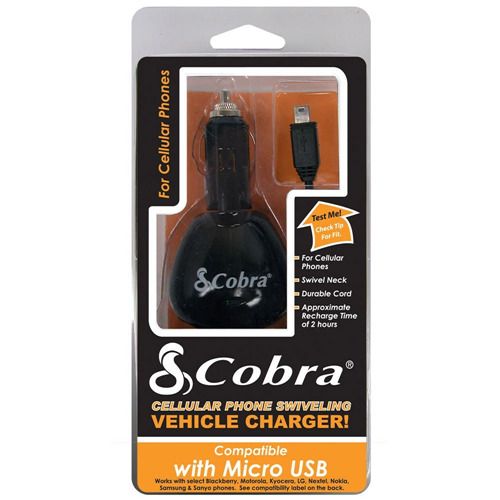 This product has been extensively tested to provide a high quality and properly functioning charger.